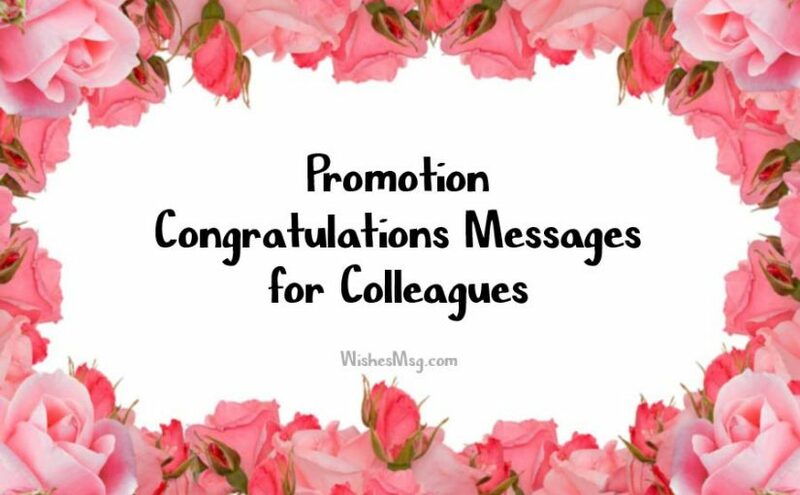 Messages For Promotion : Are you searching for promotion wishes to say your colleague congratulation on his/her promotion? Then your search ends here cause, already we have done this for you. 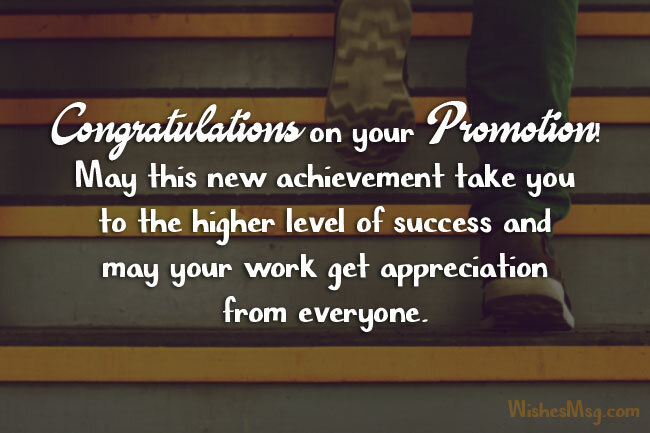 May you want to celebrate this happy moment by sending congratulations messages for promotion to your colleague on their promotion which is a way to appreciate all their dedication and hard work. 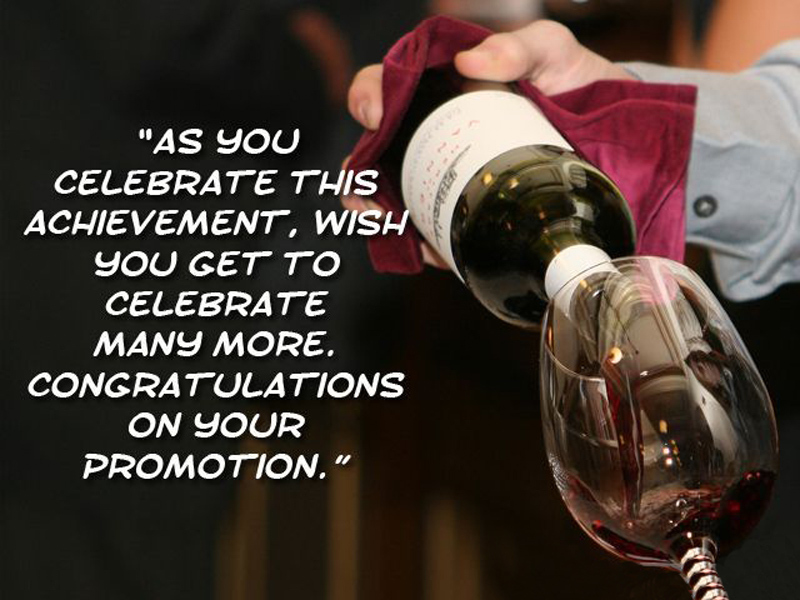 Get ideas from this congratulation messages for promotion of colleague to write down your own thoughts about promotion wishes to congratulate them. Send your best wishes for the promotion of your favorite co-worker. Congratulations on your promotion! All your hard work, dedications deserve this achievement and we are very happy for you. Congratulations and all the best for your promotion. All we hope that you achieve everything you want in your life. Congratulations for adding one more feather to your success crown! May you always give the best of you and gain prosperity in your life. Each of your achievement is proof of your quality. We are proud to have an extra-talented co-worker among us. All the best for your next journey. Congratulations on your promotion! May this new achievement take you to the higher level of success and may your work get appreciation from everyone. We are so glad to hear about your promotion. We will miss a supportive, nice professional colleague like you. Congratulations on your new success! 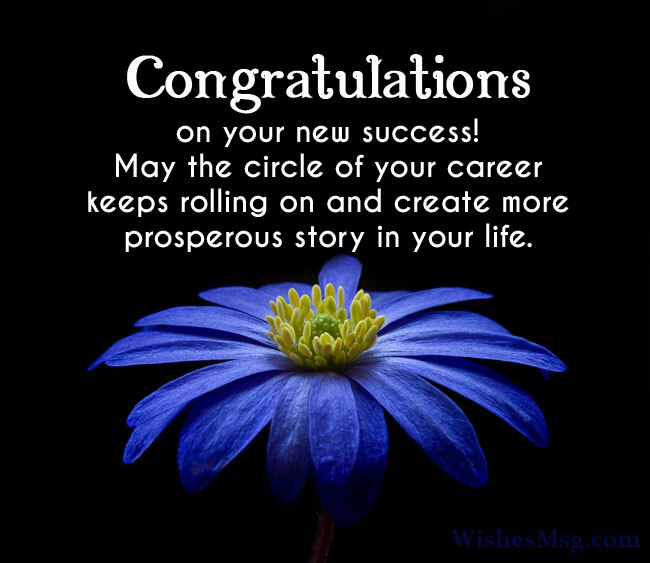 May the circle of your career keeps rolling on and create more prosperous story in your life. Congratulations and good luck with your next approach. We are so happy to hear about your promotion. It is another wing you added to your success-ladder. Keep it up. Congratulations on your big achievement. You are a hard worker and an honest man. This promotion is a reward for your hard work. Keep it up. You leave no stone unturned to finish your task. You are a dedicated man in our office. I am very much delighted to know about your promotion. Congratulation from my heart. It is very satisfying to see someone gets the true value of work. Your promotion is such a thing. I am proud to have a coworker like you. Heartiest congratulation my friend. Congratulation for achieving your dreams. This promotion means a lot to you I know that. I am very happy for your success. All the best. You are climbing the ladder of success very nicely. You really deserve your promotion. You will go a long way. My prayer is always with you. All the best dear. A promotion is a sign of the three critical S’s – Sincerity, Sacrifice, and Success. Congratulations and well done. You have proven that you were, indeed the best one for the job. Congratulations for this new milestone in your career. I wish you all the best. The wheels of your career are spinning at full speed. Keep going and don’t hit the brakes now. Congratulations. We knew that you were talented and brilliant, much before your boss eventually figured it out. Congratulations. Congratulations on your promotion! We are incredibly happy for you and appreciate all the love and support you show to us and so many others. Congratulations! You inspire us all to move forward and keep on working toward our goals. Someday, we will meet you at the top. Cheers! I have heard you got a promotion. That’s very nice. I am going to have dinner in a fantastic and luxurious hotel. When are you inviting me? All the best. Congratulation for your promotion. From now you will be busier and we will not able to meet up regularly. No problem. You can see our photos on social media. I will post for you. Hey, you are promoted now. You will earn more money. Now please get married and give us a nice chance to enjoy this summer. I will congratulate you after your marriage. Congratulation for your weight loss! Yes, my friend. You are promoted and now you will have more responsibility and pressure. That will help you to lose fat easily. Good luck. With your new promotion at work, your pockets will get heavier. But don’t worry because your wife will always be there to lighten them up. Congratulations. You chased the promotion like a hungry tiger. Now it is time to sit back and relax the fruits of your hard work as a lazy bear. Congratulations. When all the speculation about your promotion was going on, I rooted for you all the way. That’s why you won. Congratulations buddy. Your middle name should be Inspiration because you inspire your colleagues to become better professionals. Congratulation for being promoted. 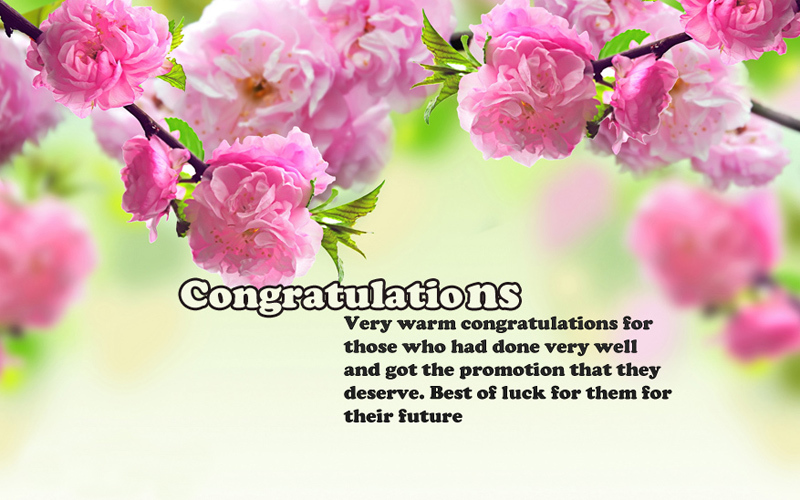 Congratulations for successfully juggling the responsibilities of family and work. You are truly an all-rounder and go-getter. I know you have been an outstanding employee and since from the start of your career, I always believe in your talent and skills. You are a winner! Congrats on your new job promotion. 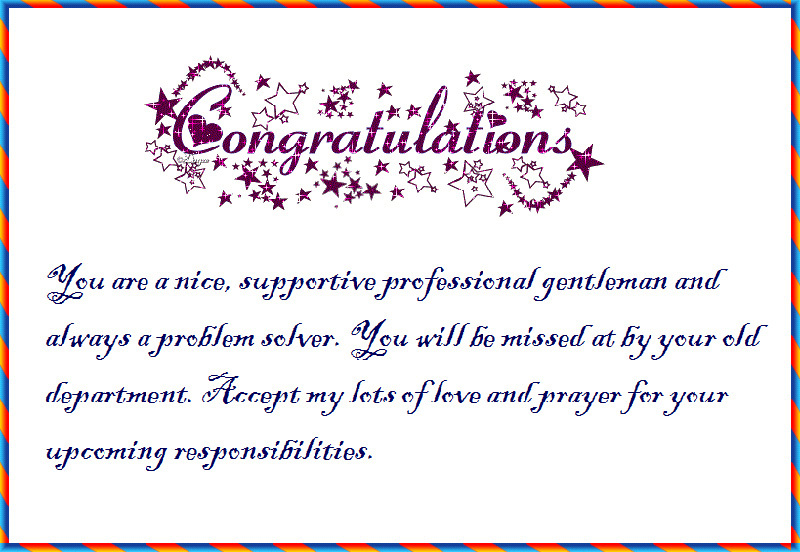 Please accept my heartiest congratulations on your new position in this company. You are truly unstoppable. I am proud of you, buddy! Congratulations for surviving the test and for being chosen as the one true title holder of that new job position. I celebrate with you and I wish you all the best. With much power comes great responsibility. I know you can handle your new job well. The position was truly made for you. Congratulations on promotion to new position. You have my heartfelt congratulations on your new position at work. Be always a good teacher, because all your co-workers need to learn from you! It was a pleasure working with you. You deserve that new promotion and I am happy for you. I wish you success in your new career. Congratulations to a wonderful colleague on the arrival of new stage! Here’s wishing you lots of joy with your position. Please accept my heartiest congratulations on promotion to new position. I knew a prize like this could only be intended for you! New job promotion comes along with new challenges and tasks. I am sure you will manage those without a problem and wish you lots of luck. You had the passion and you had ambition. You truly deserve every bit of the success you have achieved. Congratulations! You have proven to everyone what quality work is all about. I am glad that the bosses have seen the value of your output. Congratulations on your promotion! I am very happy for you because of the rise obtained! This promotion is just a beginning and many more are in the offing. Congratulations! Your exemplary performance did you justice and gave you the promotion you deserved. Well done! Congratulations! I know you will never get this promotion without your perseverance and self-discipline. You are such a good model for people around you. Standing ovation for you! Congratulations for not just dreaming but daring to make that dream possible. Best of luck with the promotion. I’m happy to see you achieving your ambition! And this is such as good news for you and for us as well! And wow this one is really a cause for a grand celebration. Congrats. I know how much you worked in this job. This is your hard work’s reward. Very well done. The boss did not make a mistake when he chose you. Congratulations! Your promotion is much-deserved. The company made the right choice of giving you that much deserved the promotion. Congratulations! I knew all along that it was going to be you. Cheers! Getting a job promotion is a big career milestone and your wishes should convey heartfelt congratulation and appreciation. Write down your thoughts on a greeting card or a note, send a text, tweet or wrap it up with a short Facebook post. Your shared best wishes for promotion and congratulations messages can inspire them for the next big step in their jobs and careers.